Believe it or not this is a school! I snapped this picture in a remote village in the Northern Region of Ghana. 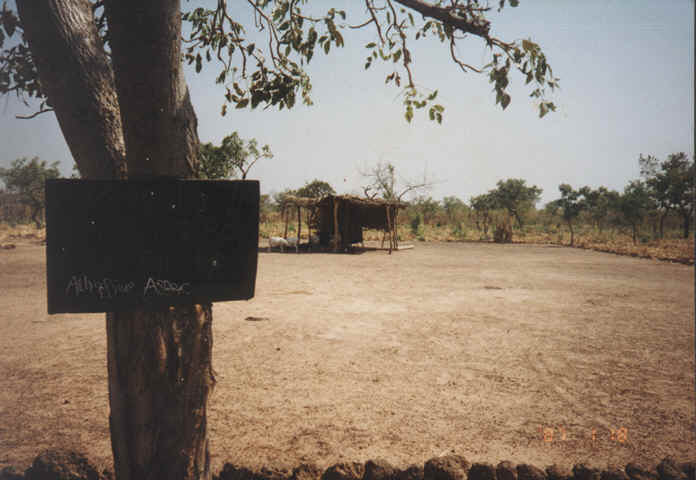 The sign says Agoo Primary School PO box 4 Lantah N/R. It was a saturday so school was not in session.